A friend wrote to me and asked, "Please tell me your opinion about the future of OLPC. " That would be a book, or possibly an encyclopedia. Here is a short version. Education plus communication is the key to ending poverty, by giving students the means and the opportunity to get real jobs, and more importantly, to create new jobs connected to the global economy. Good education offers much more than that, including the ability to think for oneself, and good education was the professed goal of the project. Nicholas Negroponte deserves a lot of credit for taking these ideas as far as he has, but he also has many failings, particularly in not communicating with the project volunteers or the public. Sugar is available under the open-source GNU General Public License (GPL) to anyone who wants to extend it. “Sugar Labs”, a (soon to be established) non-profit foundation will serve as a support base and gathering place for the community of educators and software developers who want to extend the platform and create Sugar-compatible applications. The One Laptop Per Child project will eventually succeed in many of its goals, but will face considerable opposition from those who prefer some aspect of the current situation, most notably Microsoft and those who would be threatened by independent-minded children. We expect that enough children will gain the skills, knowledge, and confidence in a relatively short time to take up further development of these ideas themselves, and to take them in directions we haven't thought of yet. After that, prediction fails, but it will be interesting. Anybody can contribute to the project. You would be welcome in the discussion, and we could find uses for your knowledge and skills, no matter what they are. Ask me if you are interested in participating. As far as I can tell, Sugar is half the problem that has killed the OLPC project (the other is Nicholas Negroponte's ego). In a way, they are both huge-Ego problems. Everyone under-estimates the difficulty of making a desktop environment. Trying to make a new computer experience from the desktop up is a huge EGO-TRIP by developers and CTOs that has killed more then one company. A demo desktop system is easy, it is different to make the real thing. "Choosing to reinvent the desktop UI paradigm means we are spending our extremely overconstrained resources fighting graphical interfaces, not developing better tools for learning. … It is most important to recognize that the graphical paradigm changes are inessential both to our core mission and to the Sugar core ideas." The death of OLPC is letting the sub-notebooks get overpriced again. OLPC started the sub-notebook race, and established manufacturers are not going to keep the prices low now that the fear of OLPC is gone. I'll say it again: the biggest issue with Sugar is that while depending on volunteers for programming talent the people who have invented the API refuse to DOCUMENT it. AND THEY DON'T SEE THAT THIS IS A PROBLEM. 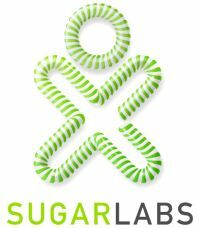 I think the founding of Sugarlabs is good news for olpc, and good news for educational computing. Sugarlabs is structured so it will overcome the problems that resulted from Sugar development being within the olpc organization and being crippled by the various mistakes Negroponte and others made, such as the mistakes that Negroponte made), including poor communication with volunteer developers. Sugar is going to be developed for all platforms, with an open api and improved means for finding activities. I think some really exciting times are ahead. As to the nay-sayers, I am reminded of the saying that efforts to kill open source are like trying to nail jello to a wall. In the end maybe this disintegration of OLPC may be a good thing. OLPC had many great ideas and tried to do many things, and if they could do only one or two of those it would be enough. Maybe by breaking up those ideas into smaller companies they have separated a greater chance of surviving. Pixel Qi wil take care of the technologies, and making sure the low energy screen will be be financially viable. Sugarlabs will go into reinveinting the UI, which can be agreat thing, but is optional for many people. OLPC can focus on making and distributing laptops, millions of them. And many local initiatives may be responsible for the content and curriculum..
i am SOOOO friggin happy to hear that there is a group of people who are branching out from the main group with goals to really develop the OS and develop it into something truly unique. perhaps this new group can take the OS to such a level that it will make sense to put it on other low end computers in order to get the absolute most out of the hardware. > As to the nay-sayers, I am reminded of the saying that efforts to kill open source are like trying to nail jello to a wall. The nay-sayers aren't trying to kill the thing. They're sad that it's already dead due to suicide. Olpc has sold over half a million laptops, and is doubling its staff. For a startup that would be considered a major success. I am puzzled you say it is dead. The Xo ist "just" a good tool. To make it a solution to solve real problems, you need good software to fit local conditions and requirements. Go for it, sugarlabs!